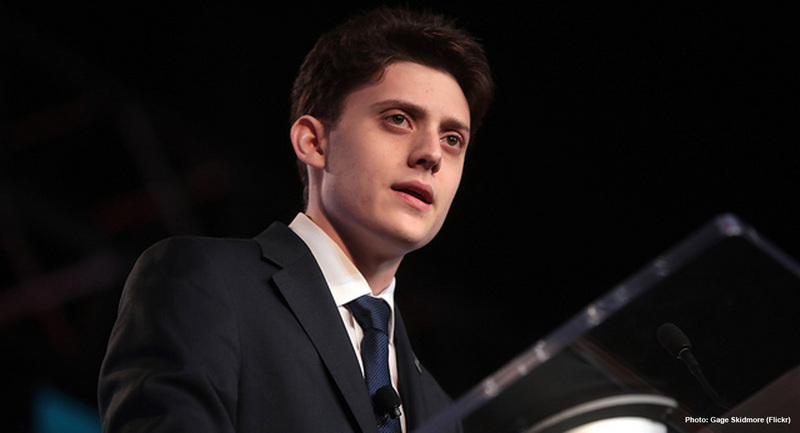 Kyle Kashuv, a survivor of the 2018 Stoneman Douglas High School shooting in Parkland, Florida, is best known for speaking out out since that time in favor of the Second Amendment. But this week, he took to Twitter with a message about the value of preborn human beings. In a video posted to Twitter, Kashuv first stated his belief that “Democrats are… advocating for abortion AFTER the baby has been born if the child has even a slight ‘abnormality’ as defined by an abortionist.” He may be referring to comments recently made by Virginia Governor Northam on a radio program, which many have taken as an endorsement of infanticide, or allowing an aborted baby to die following an abortion. However, these remarks have caused great confusion, as Northam’s “description of an infant being born alive and given care is what happens during a natural birth and a child dying from natural causes — not from the tools of an abortionist,” as stated previously by Live Action News. READ: Is VA Gov. Northam misleading public on details of extreme abortion bill? Democrats are now advocating for abortion AFTER the baby has been born if the child has even a slight “abnormality” as defined by an abortionist. John Franklin Stephens could have been one of those aborted babies. Abortion advocates frequently justify late-term abortion in the case of a poor prenatal diagnosis or fetal abnormality, and those with Down syndrome are frequently targets of this type of discrimination before they are even born. In Iceland, for example, only around two children per year are born with Down syndrome, because nearly 100 percent are eliminated through abortion when prenatal testing shows a positive result for the chromosomal abnormality. Denmark reportedly has a goal to be “Down syndrome-free” by 2030 — not by coming up with a miracle cure for Down syndrome, but by eliminating children in the womb who have it.